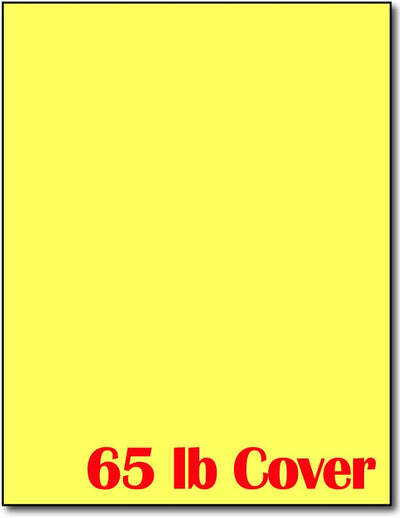 Measurements 8 1/2" x 11"
This cardstock measures 8 1/2" x 11" and is made from a 65 lb cover (176 gsm) Bright Yellow cardstock paper. Use this cardstock to create impressive stationery, greeting cards, and more! This paper is the same paper we use for our colored Business Cards.